Contact centre business, Carpeo, has celebrated the official opening of its latest facility, situated in Cleppa Park, Newport. The opening ceremony was performed by the Welsh Government Economy Secretary, Ken Skates. At the event, over 80 guests were given an insight into the Carpeo story along with presentations, which were streamed live on Facebook, on that latest developments in GDPR (General Data Protection Regulation) and Omni-Channel trends within the industry. 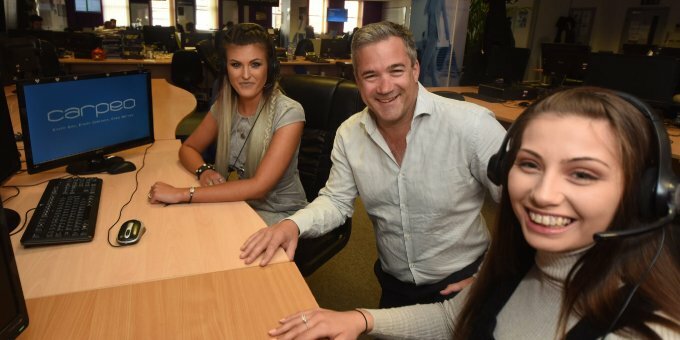 Following funding support from the Welsh Government, Carpeo, which also has a contact centre in Swindon, launched its second contact centre as part of its ingenious growth plans. “I was delighted to be in Newport to officially open Carpeo’s first office in Wales. “As a dynamic company with ambitious growth plans, Carpeo is a valuable addition to our growing and vibrant customer service sector which now employs in excess of 30,000 people in over 200 centres across Wales. “It was a great success! It was fantastic for so many people to join us to celebrate the official opening of our new division. “We were thrilled to be able to share Carpeo’s story with guests and start the next chapter with a brilliant celebration. Carpeo specialises in providing customer contact solutions to a variety of blue chip clients across a range of sectors including retail, logistics and insurance.